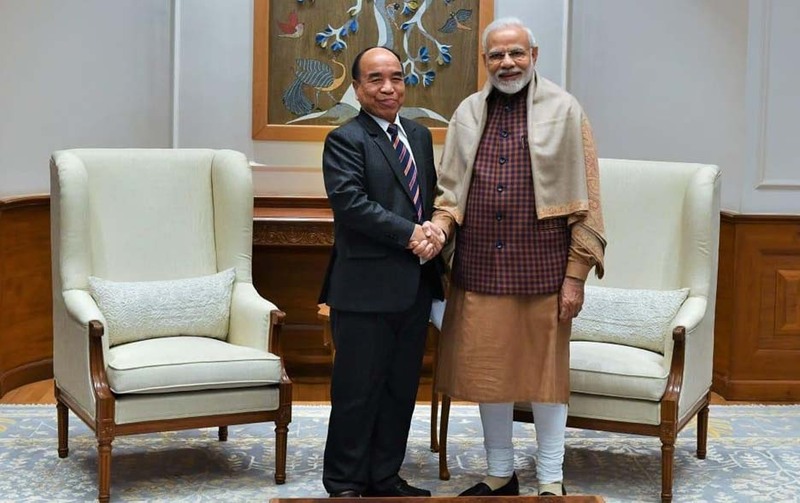 Mizoram Chief Minister Zoramthanga told Prime Minister Narendra Modi over the stand of the people of Mizoram regarding the controversial Citizenship Bill, 2016 during their meeting in New Delhi on Monday. Zoramthanga told Modi that the people of the State have vehemently opposed the passage of the Citizenship (Amendment) Bill, 2016, an official statement said on Tuesday. The Bill has triggered large-scale protests in all the northeastern States including Mizoram. Amid protests, the Citizenship Bill was passed by the Lok Sabha on January 8, 2019. According to the statement Zoramthanga met Modi in New Delhi yesterday and discussed several issues including the opposition to the proposed amendment on the Citizenship Act, 1955, said a report published on Tuesday by Economic Times. February 10, the statement added. #MIZORAM: CM Zoramthanga met with PM Narendra Modi at his residence, yesterday. He discussed a variety of issues and needs of the state with the PM, including Citizenship (Amendment) Bill 2016, regarding Mau/Bamboo project, and other important matters. The Citizenship (Amendment) Bill, 2016, seeks to provide Indian citizenship to the Hindus, Jains, Christians, Sikhs, Buddhists and Parsis who fled religious persecution in Bangladesh, Pakistan and Afghanistan after six years of residence in India, instead of the 12 years currently, even if they do not possess any legal document. On January 10, 2019, a meeting of the State Council of Ministers in Mizoram had expressed regret that the Citizenship Bill, 2016, was passed in the Lok Sabha and that the State Government should make concerted efforts for the defeat of the Bill in the Rajya Sabha which is yet to give its nof.